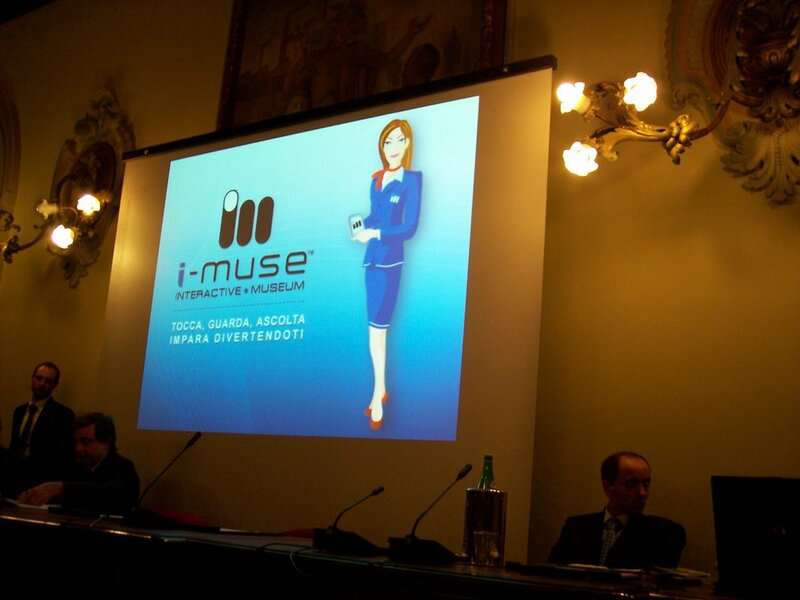 The confirmation of the validity of our entrepreneurial project started with i-muse! On monday 8 october, in the wonderful Sala Parlamentino of the Palazzo Affari ai Giureconsulti in Milan, I received the 1st prize of the Evaluate your entrepreneurial idea contest , organized by the Chamber of Commerce of Milan in collaboration with Fondazione FinancIdea and the support of Rasbank and Unicredit Bank: a thick plexiglass plate and a money contribute to help starting the business. An important prize then, maybe more important than we think, since now we’re busy getting ready for the ICHIM in Toronto. On the Milan’s CCIAA website they’ll publish the official chart of the contest. This entry was posted on October 11, 2007, 6:54 pm and is filed under i-muse, Mobile, Software. You can follow any responses to this entry through RSS 2.0. You can leave a response, or trackback from your own site. Sarà mica che ti vedrò anche alla finale dell’isola dei famosi ??? Grande Davide, complimenti a te e ai tuoi collaboratori! Complimenti vivissimi Davide, la caparbietà con cui persegui la tua idea (insieme ai bravi soci che hai trovato) ti/vi porterà lontano. Ale, assumiamo solo donne, sai… sanno vedere le cose da punti di vista diversi. Siete dei grandi! Ma non avevo dubbi! Poi dopo aver provata la vostra guida ho avuto la certezza che avreste avuto molto successo!!! Grande Davide! Dopo aver provato i-muse non avevo dubbi sul fatto che fosse davvero ben fatto.